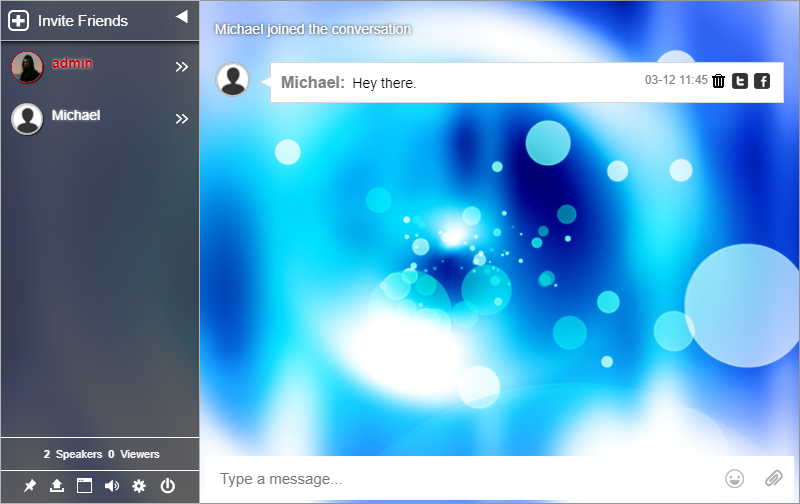 Choose the user you want to chat privately with. 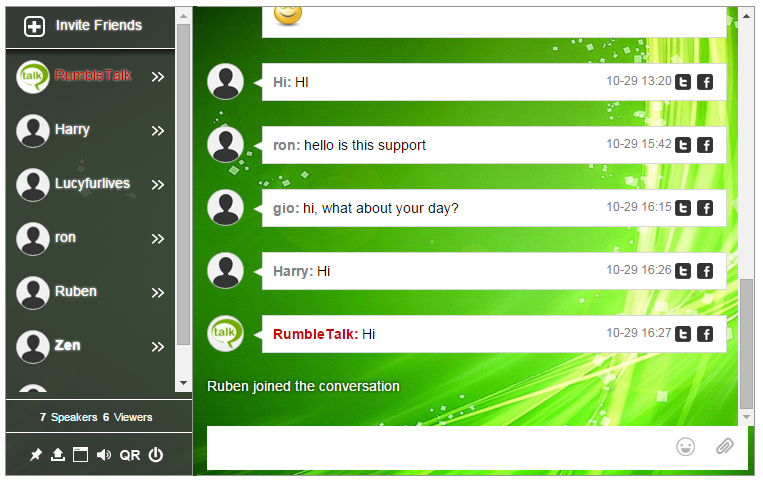 Click on the video or audio icon (green) on the bottom right of the private chat. 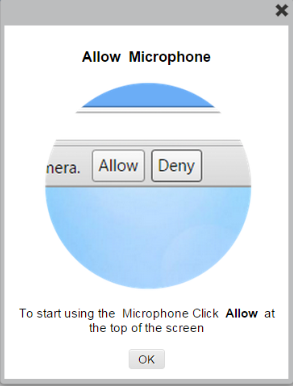 You need to authorize the use of your camera and mic. 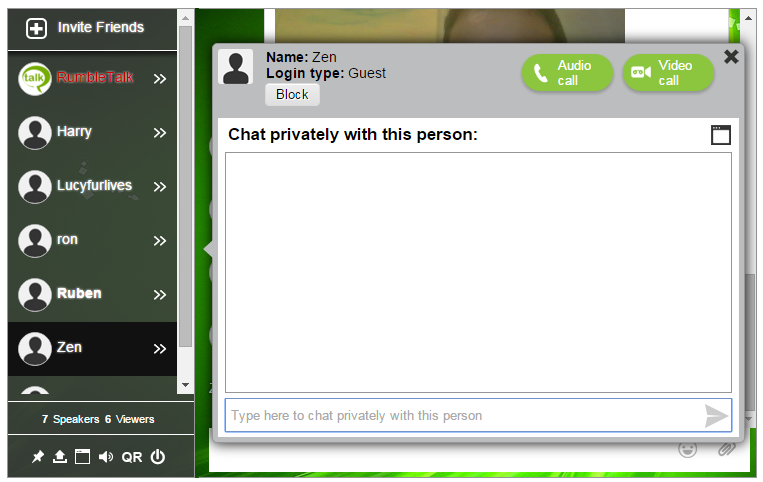 * Video and Audio calls are working in Firefox and Chrome only. * If opened using https (SSL) this message will not show. Now a call will be made. You will hear a ringing tone. This is example of a video call. You can click on the minimize icon. 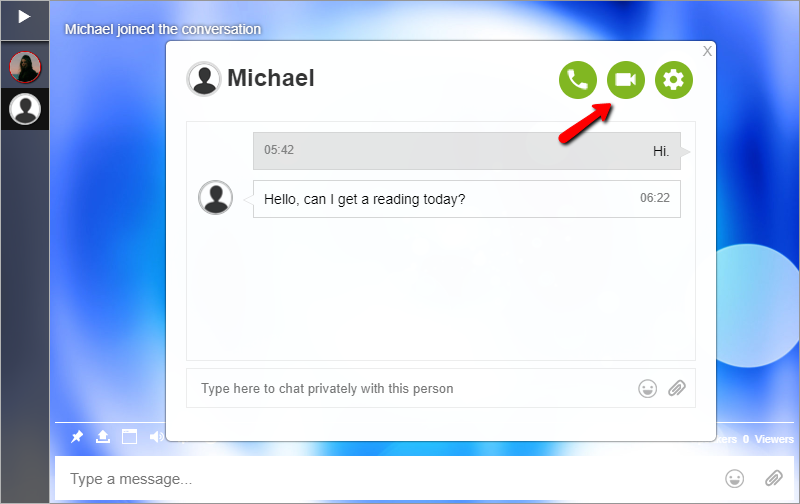 This will change the window to a small icon on the right top corner of the chat. To make video and audio calls, your page must be in SSL more (https). 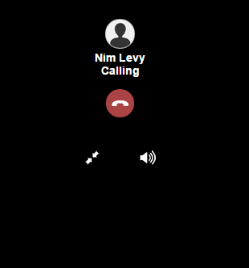 If you do not have one, you may open the chat in full screen and than make live calls ready. Previous postHow to send a private message? Next postHow to add YouTube videos in the chat?